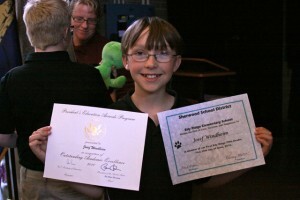 Joe’s 5th Grade Promotion celebration was a great finish to a fabulous year at Edy Ridge Elementary. A surprise highlight of the morning was his receiving the President’s Award for Outstanding Academic Excellence. I am so proud of all that Joe has accomplished this year. He’s shown himself to be a self-motivated, lover of reading and learning. That’s going to take him far in this world. 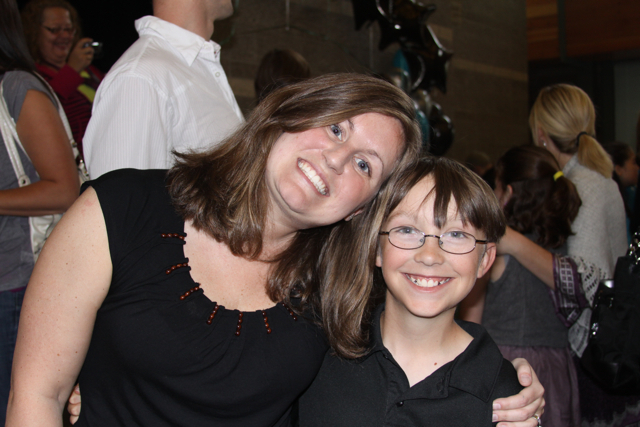 Many thanks to his teacher, Kelsey Moore, for creating such a strong sense of community in her classroom this year. The kids were incredibly bonded with her and each other. All of them are well-prepared for the next challenge…middle school! This entry was posted on Wednesday, June 16th, 2010 at 3:32 pm	and is filed under Fun Photos - General, Sherwood Schools. You can follow any responses to this entry through the RSS 2.0 feed. You can leave a response, or trackback from your own site.